ActiVPN hosts its services its headquarters in Hong Kong. The company aims to make everyone’s day a lot pleasanter by ensuring the internet is as safe and free as it was supposed to be in the first place. The main benefits of using ActiVPN is to enjoy legal video streaming and at the same time hide your identity via an alternative IP address while enjoying the advantages offered by a high-speed VPN. Apart from the astounding features such as low ping, privacy, an array of protocols, easy to use and install, excellent support and security all part of the advantages of using ActiVPN. The service provider offers a detailed data protection policy to ensure every user understands and enjoy the privacy promised. According to the ActiVPN policy, the VPN provider does not keep any record of individuals connection logs, browsing activities, a list of the VPN IPs assigned to the individual, connection times, original IPs, the history of any browsing, outgoing traffic, sites visited, or any content accessed. What ActiVPN aims to do is to inform users that they collect data only needed to keep the VPN service running. All servers and systems are created and designed not to store any personal or sensitive data, which prevents ActiVPN from sharing any data, even should it be required by law. What the VPN service provider don’t have any records off is the user’s VPN session timestamp, original IP address or any knowledge of their browsing activities. So basically, ActiVPN have no idea of data downloaded, uploaded or any browsing activities or sites visited, which offers users the privacy they deserve. When it comes to international data transfers, in which VPN-user’s data must travel via global servers, ActiVPN has taken several steps to protect it in cases where the provider relies on the services of a third-party. All private, public and PII keys are protected via high-level secure cryptographic algorithms while the appropriate security measures are in place to provide protection of all information against unauthorised alteration, the disclosure of data, destruction or unauthorised access. ActiVPN employees, agents and contractors have no access to user’s personal information, and users enjoy complete privacy via the several precautionary measures taken to ensure 100% protected foolproof privacy and safety. The main reason why ActiVPN selected Hong Kong for its headquarters is due to Hong Kong’s “No Mandatory Data Retention Laws”, which means no obligation to share or store the data of any users. ActiVPN services are intended strictly for individuals that are 18 years of age or older. 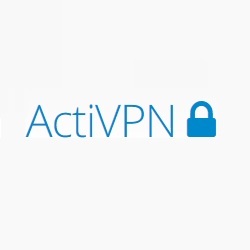 ActiVPN offers all the features users would expect from a VPN service provider as well as quite a few extras. The main features include security via improved AES-CBC256+PKI RSA 2,048-bits encryption. Protocols available includes PPTP, IPSec, L2TP and OpenVPN usable across multi-platforms such as PCs, Mac, tablets, routers and mobile phones. For real-time video streaming, downloading of movies or gaming, ActiVPN offers low ping, while all traffic is encrypted to ensure anonymous use, there are no limits set on data transfers, the software is easy to use, and support is always ready to assist with any questions. ActiVPN also offers Ad Blocking and blocks all pop-ups, banners and video advertisements, and while we all know that using wi-fi hotspots is not safe, the VPN offers protection to ensure the integrity of your internet even during use of wi-fi at the office, hotel during travelling or at restaurants. With Botnet Blocking, all known control and command servers that are commonly used by black-hat hackers are blocked. Users have access to more than 60 servers placed across the globe from Singapore to America. ActiVPN offers three different subscription options, which includes VPN protection for a single month, VPN security for one year and a two-year VPN option. All three the ActiVPN packages include enhanced encryption and security, offers access to outstanding user support, high levels of privacy and anonymity, easy to install and use software, supports several protocols, unlimited speed and bandwidth, and is compatible with all platforms. Unfortunately, new users are unable to test the ActiVPN services before subscribing since there is no money-back guarantee or free trial option. ActiVPN accepts several trustworthy and dependable payment options including Bitcoin, PayPal, American Express, MasterCard and Visa. When it comes to download and upload speeds that shows haw fats torrenting, streaming or uploads are it depends largely also on the user’s own internet speed. While ActiVPN encrypts the data, it does influence the data connection speed, and, in many cases, the use of a VPN service increases the speed as it stops ISPs from throttling the connection. The location of the user also has a massive influence on the download and upload speeds. Independent tests showed that the use of ActiVPN in France reduced the upload speed by 33.12%, while in the UK it reduced the normal upload speed by 32.78%. ActiVPN offers ease of use all the way from accessing the website to installing and using the VPN service across all platforms. When it comes to user-support, when testing the email response time, it took about 5 hours, while it would be great to have access to a live chat option. What is remarkable about ActiVPN is its support of multiple protocols, robust encryption as well as Anti-DDoS protection all combining to provide users with complete anonymity, privacy and top security.